A light and simple daypack that is perfect for quick jaunts on the trail. Pros: Compact, adjustable, comfortable for a light bag. Cons: No rain cover, hip belt pockets are made of mesh. The Lowe Alpine Aeon ND20 is a simple little daypack that we reached for time and again whenever we needed something for a quick hike. The capacity is limited, but it can hold all that you might need for a short excursion, including your water, snacks, and a layer or two. It carries a modest weight comfortably thanks to the hip belt, giving it a leg up over other small packs that don't have one. As such, we've given it our Top Pick for Short Hikes award! If you need something bigger for more extended missions, check out our Top Pick for Long Hikes, the Gregory Jade 28. If you want something in between the two, and prefer to hike with a hydration bladder instead of water bottles, our Editors' Choice winner, the CamelBak Sequoia 22, is pretty hard to top. But not every hike is an all-day excursion and not every hiker needs a ton of space. Here is where the Aeon fits the bill. The Aeon ND20 is a smaller women's specific daypack offering from Lowe Alpine. The ND stands for both Nanda Devi, a Hindu Goddess, as well as "Narrower Dimensions," which women's specific packs typically have. The stated dimensions of the panel are 14 to 18 inches (36 to 46 cm) but when we measured it was more like 15.5 to 19.5 inches. Exploring Calico Basin with the Aeon. Our Top Pick winner has enough room for everything you'll need on a shorter hike, and it's comfortable and lightweight too. We were surprised by how comfortable the Aeon is considering the minimalist design. We were worried that the shoulder straps wouldn't be very comfortable because there isn't a lot of padding on them, but the tape-like material is flexible and contoured to our shoulders well, and it didn't dig into us uncomfortably in any way. You'll barely notice this pack on your back, though it didn't carry a heavy load as comfortably as the packs with more structure and support. The back panel has foam cutouts to provide some padding, and the whole thing is covered by mesh to improve airflow. It didn't ventilate quite as well as a detached mesh back panel though, like the ones on the Deuter Futura 22 SL and Osprey Sirrus 24, but it still helped a bit on hot days. However, the sleeve for the water bladder is right behind the back, and if you do put one in there, then the whole back panel gets pushed into you. There is a decent amount of padding on the lumbar area and hip belt, which give this pack an advantage over some other bags like the Deuter ACT Trail 22, which has no padding on the waist belt. The mesh on the back panel helps with airflow a little bit, but not as much as packs that have a mesh frame that keeps the bag off of your back The shoulder straps are not padded, but they are flexible and comfortable as long as you are not too loaded down. For this category, we considered each model's features and then rated them on both the quantity and usefulness. Some packs, like the REI Co-op Trail 25, have "fancy" details that look cool but aren't that useful in the field, like a daisy chain down the side of the pack. The Aeon looks pretty sleek and minimalist from afar, but it has almost everything we need and nothing we don't. There are dual compression straps on each side and separate trekking pole and ice axe holder attachments on the back, which we liked better than Osprey's system of stowing them under your armpit. There's an outer mesh pocket on the front with a secret side zipper, which is a little more secure than other bags that have an open shovel pocket in that location instead. There are two hip belt pockets, though they are made of mesh so remember that if you put your phone in one and it starts raining! The one thing it doesn't have is a rain cover, though that can be purchased separately for $14. We appreciate having hip belt pockets even on a smaller pack, but they are made of mesh and your phone could get wet in there. At 29 ounces, this is one of the lighter packs that we tested. There are some lighter packs in this review, like the Osprey Hikelite 18 (24 ounces) and Mammut Lithia Speed 15 (19 ounces), but the Aeon gave us a bit more comfort for just a few more ounces. Packs typically get lighter by using thinner materials or skimping on some features. The Lithia is made with 70D nylon, which is on the thin side, and the Hikelite has a webbing hip belt. The slightly heavier Aeon uses thicker nylon and has a proper hip belt, making it more durable and comfortable over the miles. Everything is a tradeoff though, so if you do want the lightest option possible it's out there for you! If you need a bigger pack, expect it to weigh more as well. The Gregory Jade 28 is made with 200D nylon and is light for the size, but because it is so much bigger than the Aeon it weighs almost a pound more. Some lighter bags skimp on features, but this pack still has a bunch of them, including a hip belt with pockets, ice axe and trekking pole carriers, and dual side compression straps. There were a few ways that we scored the daypacks for adjustability, including how many sizes they are available in and how much we could adjust the pack onto different women. The Aeon comes in one size only, but it's one of only two bags in this review that have an adjustable back panel. This lets you dial in the fit to your dimensions even more than selecting between a size small or medium. According to our measuring tape, the back panel adjusts between 15.5 and 19.5 inches. It takes a bit of muscle to detach the Velcro from the back panel, but that's a good thing as it didn't shift on us while hiking. The Osprey Sirrus 24 also has an adjustable rear panel, and it too received the high score for this category. The black panel has a Velcro strip that lets you adjust the length of the back. This pack fits a range of back sizes and, more importantly, allows you to fit it directly to your back. The hip belt on the Aeon comes around our hips a little bit more than the Osprey models but not quite as much as the Gregory Jade 28 or the CamelBak Sequoia 22. Keep that in mind if you like a lot of coverage around your hips. We liked the amount of coverage that we got from the hip belt. Some didn't come around far enough, but you don't want them crossing over in the front either. The nylon on this bag is coated to increase its abrasion resistance. Lowe Alpine doesn't disclose the denier of the material, but our best guess is that it's a 100D that's made a little thicker via this coating. The bottom of the pack has a double-layer of nylon, which is a nice touch considering that this is usually a high-wear spot. Like most of the day packs that we tested, we didn't have too many durability issues during our testing period. One thing to consider is that the outer mesh pockets will not stand the test of time. The holes in the mesh and soft material cause them to snag easily, and after a lot of use, they'll start to look like Swiss cheese. This isn't a deal breaker to us since almost all packs have them now and it's hard to find one without, but it's something to keep in mind if you live in a spiky-plant ecosystem. Of the 13 models that we tested, only the CamelBak Sequoia 22 has hard-faced nylon water bottle holders. Using stretchy mesh on the pockets keeps the pack lighter and lets you fit a variety of different sized water bottles in there. But, they are prone to snagging and ripping. We've given the Lowe Alpine Aeon ND20 our Top Pick for Short Hikes award, and that's what it's good for primarily due to the smaller capacity. It can hold a summit layer and rain jacket, a first aid kit, and some snacks, but if you're looking for something to hold your full-size camera, you won't be able to bring much else with you. This bag is cut on the narrow side, which makes it a good choice for biking with, but it doesn't carry a 15-inch laptop very well. We could get ours in there, but it extends beyond the frame on either side, and it isn't that comfortable to carry. If you want something that works well for commuting, check out the Osprey Tempest 20, which has room for a laptop and a great bike helmet attachment. This compact daypack is perfect for shorter hikes where you don't need to carry a lot of gear. This pack retails for $110, which is neither cheap nor expensive in the daypack world. Our Best Buy winner, the REI Co-op Trail 25, is $30 less, but it doesn't have a hip belt. If you want a little more capacity, you'll likely end up spending more as well. The Lowe Alpine Aeon ND20 is a well-made daypack that works best for lighter loads and shorter hikes. It's lighter than some of the beefier models that we tested but almost as comfortable, and it has some great features. 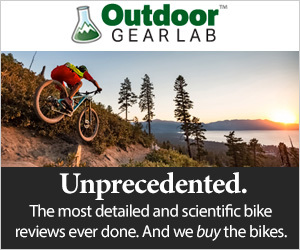 This manufacturer doesn't have much market presence in North America anymore, and you'll come across dozens of Osprey and Gregory packs on the trail before you're likely to encounter a Lowe Alpine model, but they're still making high-quality packs and are worth checking out if you get a chance. The Aeon line has four different sizes: the ND20 tested here and the ND33, ND25, and ND16. There's also a corresponding men's version for each size.